As practitioners we encounter gender-related issues regularly as we help business families plan for the future ownership and leadership of their enterprises. Parents who are owners of family companies are generally intensely interested in their children’s development both as healthy, aspiring individuals and as future owners. Thanks to Guido Corbetta, John Davis and Maya Prabhu for their précis of articles published in the September issue of FBR. The core question of the article is clear: Is agency or stewardship governance more effective for aligning the interests of (family or nonfamily) managers with those of family owners? Whereas existing research on the longevity of family firms has focused on the survival of firms, this article investigates transgenerational entrepreneurship of families. Points of significant change and transition in the life of a family business lead to predictable psychological reactions. Many practitioners who advise family-owned companies employ assessments or surveys to gain a glimpse into what’s occurring in the family business system. This is a simple adage, which, despite its universal application, is identified more with the mutual fund industry than with general philosophical statements. 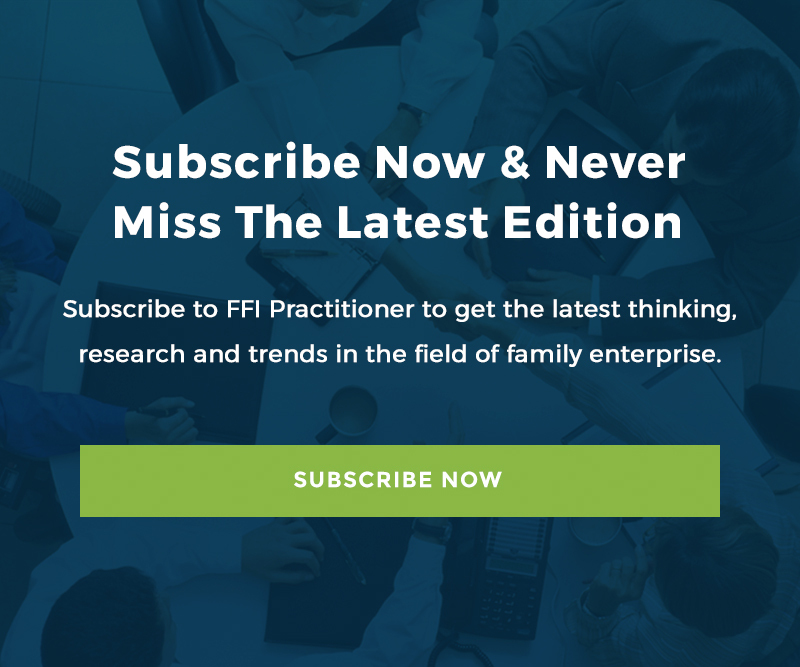 FFI’s journal, Family Business Review (FBR), is a refereed journal published quarterly since 1988.